To meet our Vision, and the key milestones of the SSI Roadmap, over the years the SSI has established a number of working groups. These groups comprise members who share expertise and good practice, as well as setting tangible goals and a work plan to follow in order to meet our vision. Working groups reflect the current priorities of the SSI Strategy and are created according to SSI member organizations' collective interests, activities and resources. The Decarbonisation Working Group is currently undertaking a deep dive on biofuels throughout 2019. SSI's former working group on sustainable ship recycling has since evolved into the Ship Recycling Transparency Initiative. SSI working groups meet virtually on a regular basis (bi-monthly/monthly) to review progress made on the groups terms of reference, as well as to discuss future directions and ideas. Working groups report back to the wider SSI membership at regular member meetings. With the adoption of the IMO initial Greenhouse Gas Emission strategy, the maritime industry is facing increasing pressure to explore potential alternatives for fuelling the global fleet. Results consistently show that advanced biofuels may represent the most economically feasible zero emission alternative for the shipping industry. However, may not be the answer due to two important, and coupled, considerations – sustainability & availability. Ocean transportation is currently the most environmentally sound mode of transport in terms of CO2 emissions per tonne of cargo transported. Despite this, shipping is still responsible for 2.6% of total global anthropogenic CO2 emissions, which is broadly equivalent to the emissions of Germany. The adoption in April 2018 of the IMO initial strategy on the reduction of greenhouse gas emissions from ships has set out a vision to reduce GHG emissions from international shipping and phase them out as soon as is possible in this century. In order to achieve such a vision the industry will need to diversify their method of powering ships over the coming decades. This change in fuel is needed sooner rather than later and may not be a one size fits all model like we currently use. As an industry we have a number of potential future fuels but we need to understand when, how and what needs to be done to implement these. In May 2018 the SSI commissioned the report “Zero Emission Vessels, what needs to be done?”, following which members agreed to embark on a deep dive into biofuels. Phase 1 generated an internal “knowledge paper”, raising nine key questions facing the shipping industry surrounding its adoption of biofuels, and the Working Group has now entered Phase 2 of the deep dive, consolidating and building momentum for SSI’s role as convener of the debate on biofuels for shipping. 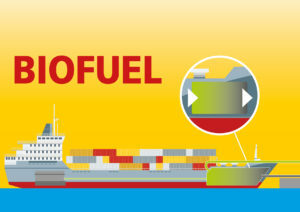 Internal knowledge paper identifying key questions surrounding the issue of using biofuels as a fuel for shipping, to serve as a reference document to drive debate among key stakeholders. Current trends of rising Greenhouse Gas Emissions (GHG) emissions need to be halted imminently and then reversed. The SSI has been pressing for early action from regulators and industry. Postponing only makes matters worse for the industry in the long-run, and increases the potential for catastrophic impacts on world trade. The time for action is now. 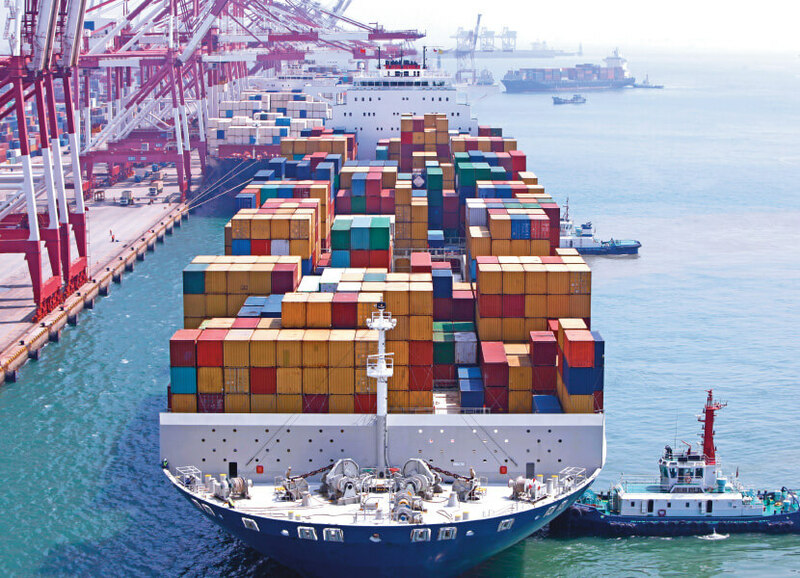 The International Maritime Organisation (IMO) and the shipping industry need to act fast. The IMO’s third Greenhouse Gas (GHG) study (2012) predicted that CO2 emissions from shipping could increase by as much as 50%-250% by 2050, based on a business as usual scenario. This could result in shipping emissions growing to as much as 17% of total global emissions. If the targets set by the UNFCCC COP21 Paris Agreement are to be achieved, then shipping must reduce levels of emission by as much as 80% below 2012 baselines. This represents a major challenge and will require a move away from fossil fuels as the primary fuel source and the widespread adoption of alternative fuels and clean technology. Our opinion on incentivising a low carbon industry is taken up by regulators (IMO), leading to a major global carbon policy in shipping to keep global temperature rises well below 2 degrees in accordance with the COP21 agreement in Paris. This aligns clearly with our Vision of a shipping industry that is changing to a diverse range of energy sources, using resources more efficiently and responsibly, and dramatically reducing greenhouse gas intensity. The shipping industry and the IMO urgently need to be proactive in creating a framework of regulation, and plan for tangible GHG reduction targets, otherwise the industry risks facing unilateral and regionalised measures, unsuitable for an international shipping industry. The SSI has become a leading voice within the industry concerning carbon reduction, and in the run up to, and in the wake of, MEPC 69 and 70 the SSI has promoted a strong case in favour of change and action within the shipping community. Specifically, the SSI has been calling upon the International Maritime Organisation to develop a framework that would lead to the implementation of carbon reduction targets for the shipping industry, and therefore welcomed the announcement by the IMO in October 2016 of the plan to develop an IMO roadmap for CO2 emission controls for the shipping industry. 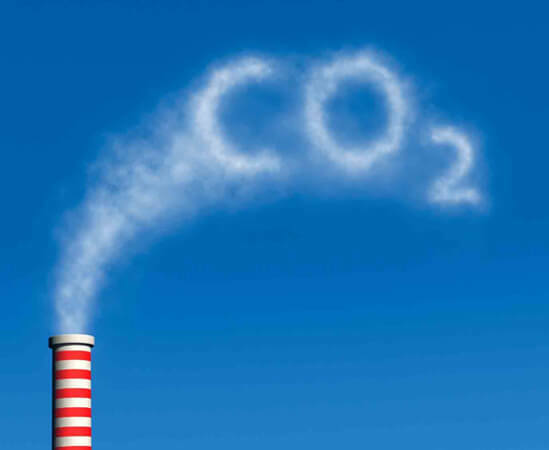 SSI members have demonstrated to the wider industry that there are already many innovative ways to reduce CO2 emissions as well as to make financial savings. SSI members have shown leadership by sharing these practices through case studies released by SSI and available to download from the resources section of this website. For example, Akzo Nobel’s marine coatings business, International®, has developed the first carbon credits methodology for international shipping, which recognises and financially rewards ship-owners for investing in clean technology. In 2015, the SSI supported its position on low carbon by commissioning academics at University College London (UCL) to conduct research on its behalf. This study examined the CO2 reductions required in order limit global emissions such that global warming stays within the UNFCCC below 2 degrees target. The study demonstrated that a disconnect exists between present day stakeholder attitudes, and the challenge faced by the industry. Even in the most moderate scenario, carbon intensity reduction beyond what would be considered ‘commercially viable’ by our members was shown to be required. The full report is available in here. 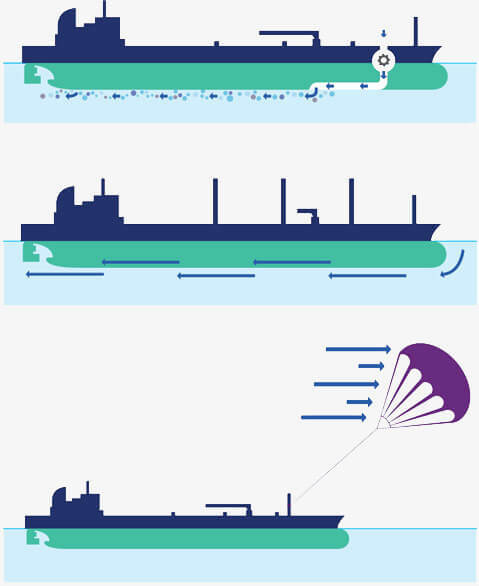 In 2017 as part of the low carbon working group the SSI commissioned LR and UMAS to undertake a study examining the viability of zero emission vessels, this study focused on three types of fuels and several ship types in addition unlike the LR study the full shipping supply chain through our members was questioned. This study concluded that currently the most viable option is biofuels even though it has some sustainability issues, the study was completed in early 2018 and published over the summer. This has resulted in the low carbon working group changing its focus on to biofuels. Ship recycling is an inevitable part of a vessel’s lifecycle, yet remains a complex and contentious issue. The SSI has pioneered a series of roundtables to stimulate debate, to accelerate safe and environmentally sound ship recycling and to eradicate unacceptable practices. It’s engagement on the ground that drives real change. The recycling of decommissioned ships is an integral part of the maritime lifecycle. However, the process of ship recycling is a highly complex and contentious issue, with increasing importance being placed on improving sustainability standards within ship breaking and recycling operations. The industry has to acknowledge that the working conditions that have been reported in many ship recycling facilities are unacceptable against reasonable and achievable health, safety, environmental and social standards, and are thus unsustainable. The SSI and its members are supporting initiatives to achieve the sustainable and responsible recycling of ships at the end of their economic lives. The SSI has run three successful roundtables, in 2015, 2016 & 2017 which coincided with the Trade Winds Conference on Ship Recycling. These events brought together key stakeholders from across the industry: ship owners, recycling yards, NGOs and financial institutions. They provided a platform to discuss the key issues, successes and future aspirations of the sector, and were a forum for companies to have constructive conversations on a difficult topic, in a safe environment. As well as the organisation of the roundtables, the SSI is worked on the development of a baseline minimum standard for responsible ship recycling. Our members are on the ground driving improvements at selected yards, and are bringing about significant and tangible improvements in recycling practices that not only comply with, but exceed, those laid down in the Hong Kong Convention, which is yet to come into force. This working group on Sustainable Ship Recycling has been transformed into an independent platform which is hosted by the SSI called the Ship Recycling Transparency Initiative. 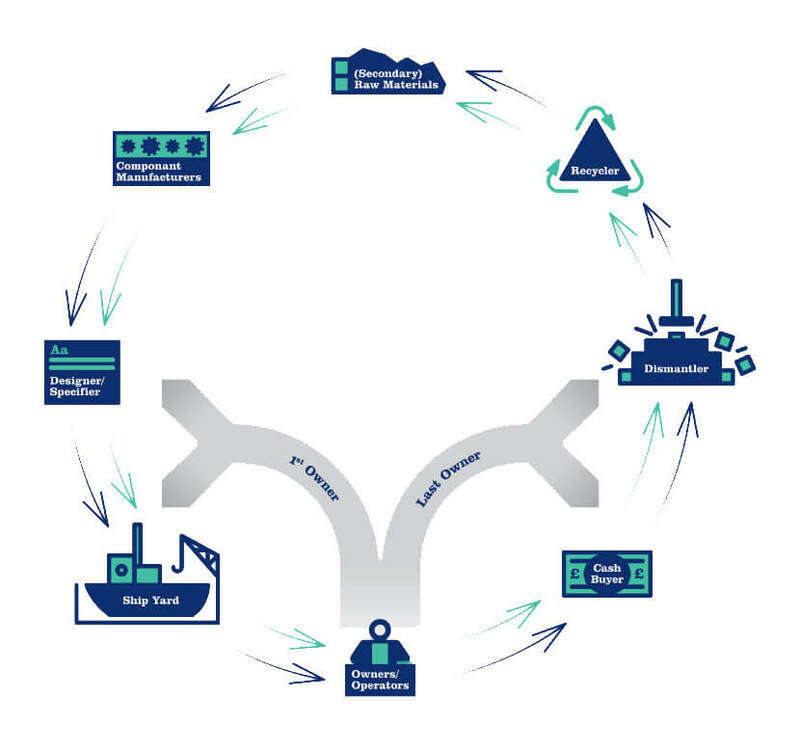 This platform will use transparency to drive progress on responsible ship recycling, more information about SRTI can be found on their website. The welfare of seafarers should be a key concern for all those in the shipping industry, but it often falls outside the public consciousness. This also causes difficulties in recruiting. The SSI has been looking at a ‘liveability’ charter, and also barriers to young people taking up a career as a mariner. 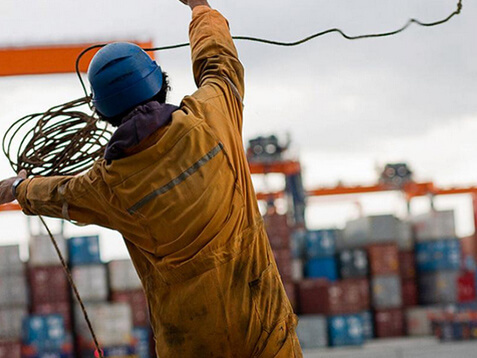 Our Charter sets out some simple measures that enhance seafarer welfare. According to UN Secretary-General Ban Ki-Moon, seafarers are the heart of the shipping sector and without them the industry would simply grind to a halt. However, much like the industry they work in, seafarer’s lives on-board ships are not in the social consciousness of the general public. This invisibility is a concern when we consider their welfare issues and ongoing recruitment into the industry. Unlike shore-based careers, seafarers spend their lives in their workplace, with little interaction from the outside world. The life of a seafarer has always been one of relative isolation; however, over recent years, with great technological advances on-shore, this isolation has become more apparent and can be a significant barrier to recruiting new seafarers. This is particularly evident in Western cultures, where young people are heavily reliant on instant communication and social media. In sharp contrast, this form of instant and cheap communication is currently unavailable on the majority of ships. Over recent years the industry has seen a decline in the number of new entrants and the industry faces critical shortages, especially of Officers, in the years to come. The SSI is committed to making seafaring a more attractive career choice by increasing the overall quality of life on-board ships. The SSI carried out an initial scoping study on the availability of information on maritime careers. The study first looked at what is needed to attract young people to shipping. It was identified that the real need appears to be a single point where all necessary resources can be found by youngsters. This work group also undertook research on the ‘liveability’ aspects of on-board life. The analysis of these results, coupled with the adoption, ratification and implementation of the Maritime Labour Convention (MLC) provisions, has prompted the SSI to develop a best practice charter. This charter is for ship owners, operators and managers to adopt to demonstrate that they recognise how much seafarers contribute to the value of their operations, and that they are going beyond compliance, particularly by implementing the voluntary provisions in Part B of the MLC. Since the Charters development and publication, one of our members RightShip has introduced inspections of liveability aspects into their rating products, which we welcome. The split incentive is a key barrier to the uptake of clean technologies, with owners paying for improvements in efficiency and operators reaping the benefits of reduced fuel costs. To address this and other barriers to financing cost-effective and fuel-efficient technologies, the SSI developed Save as You Sail (SAYS), aiming to accelerate progress towards low-carbon shipping. Ship owners face competition to charter out fuel-efficient vessels and are often unsure if investing in retrofitting their fleet will lead to an increase in profits, despite the availability of proven, cost-effective technologies. 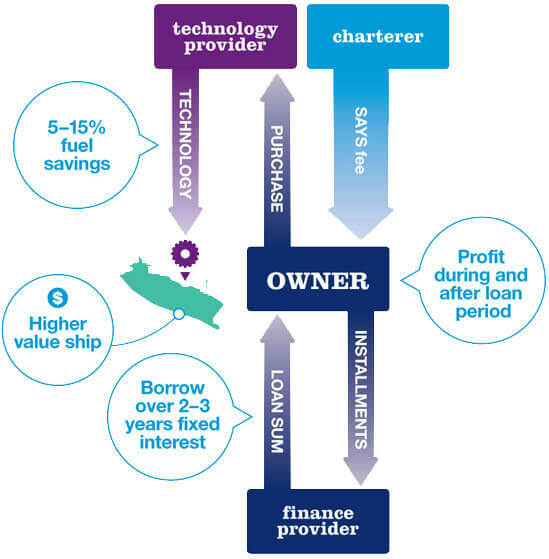 As charter durations get shorter, there are fewer opportunities to share investment with charterers, leading to a split incentive: a ship owner may invest the up-front capital to fit energy-efficient technology, but is not able to recoup the costs from fuel savings, as this goes to the charterers. This problem is particularly apparent for short-term time charters. To provide the shipping industry with access to financial tools and products to enable informed and transparent negotiations, guaranteed savings, and encourage third-party financing to vessel owners for efficiency upgrades. Collaborating with knowledge partners across the industry, the work group developed and introduced Save As You Sail (SAYS), a robust financing package that seeks to enable both owners and charterers to benefit from efficiency upgrades. Using the SAYS model, an owner and a charterer can identify the estimated fuel-cost savings and return on investment associated with different upgrade options; this is used to negotiate and agree the charter hire rate. The owner has access to a loan for the upfront costs, to be paid back (with fixed-rate interest) over two to three years. If the first charter is shorter than the loan, SAYS enables changes of charterers during the financing period. With some technologies providing a return on investment of 50 per cent and more, there are sufficient fuel cost savings for the charterer, owner and finance providers to profit from the expected fuel cost savings. A ship finance mechanism for retrofits plus documents to explain SAYS in more detail, including two working examples. A summary of contractual arrangements by HFW. An Excel spreadsheet financial modelling tool developed by Deloitte to explore cash flows and profitability of a SAYS project. The SSI explored how to overcome barriers to the uptake of new technologies and innovative techniques which improve the operational efficiency of ships, potentially delivering energy efficiency savings of 10% or more and payback periods of less than 5 years. The SSI collaborated with key suppliers and conducted in-depth research on energy savings achievable, the risks and relevance to the industry. The global shipping industry needs to achieve a step change in the way it harnesses energy as part of its action on climate change. If the industry were to double in size by 2040 while playing its part in delivering global emissions cuts by 50 per cent, it will need to cut its own emissions per tonne km by 75 per cent. To achieve this, incremental improvement will not be sufficient. Later research indicates even larger cuts will be required. However, it remains difficult for step-change technologies to make the leap from the drawing board onto the water, and to build business cases that will enable the mass uptake of combined voyage optimisation techniques. There is a limited appetite for risk in the shipping industry, especially with the current economic circumstances, making it incredibly difficult to demonstrate the benefit that new technologies can deliver at full scale. To enable the widespread up-take of step-change technologies and operational techniques that will contribute to the reduction of ship energy consumption and dramatically cut greenhouse gas emissions. The work group collaborated with suppliers of new technologies available in the industry and evaluated the potential of these technologies to deliver energy efficiency savings. Research and analysis was conducted on cost-benefits analysis, risks and applicability. These technologies, mainly wind-assisted propulsion and hull/lubrication innovations, were selected because of their potential to deliver double-digit savings, while being unproven at full scale. Members shared data on the implementation of measures such as slow steaming, weather routing and virtual arrival, along with the savings achieved and barriers to implementation. This resulted in five case studies, examining in-depth the specific opportunities presented by the innovations, together with more general lessons on how we can accelerate the uptake of new technologies ‘on the water’. An evidence base for voyage optimisation, which includes implementation levels, savings achieved, barriers and opportunities for scaling. Case studies in technology evaluation created by SSI members. A process for technology evaluation and uptake, providing a checklist for technology suppliers. A collaborative approach to risk mitigation for promising technologies that need assistance to move into the in-service testing stage. Standard Virtual Arrival clauses used by the tanker industry for wider uptake. Full performance data for the Cargill Skysail – to be shared with SSI members after its implementation in late 2013. The key challenge for the workgroup was to look at how ships could be designed, built, operated and dismantled to deliver better and more efficient recycling of materials and components as well as establishing whether this would increase a ship’s value. To achieve end-to-end responsibility and accountability for the social and environmental impacts of the materials used to build ships, from their sources and construction through to recycling. The work group implemented three pilot projects which collected data about more than 96% (by weight) of all the materials used in the construction of two new vessels and a cruise ship cabin. The purpose of these investigations was to establish the value of collecting data about materials used in ship construction. In addition, the SSI collaborated with Hewlett-Packard to trial the use of their CDX system to track and trace the data being collected. Separately, a stakeholder consultation was carried out to explore opportunities for a closed loop economy in the future. Safer, cleaner, healthier and more profitable ship recycling. Significant CO2 savings as a result of more effective recycling in the wider ‘steel loop’. Potential CO2 and financial benefits from ‘design for remanufacture and reuse’ strategies. A series of reports and case studies on the pilot projects. Stories from consultation from other sectors that have taken a similar approach to material management. Beyond-compliance rating schemes benchmark vessels on their sustainability performance, allow customers and other stakeholders to select ships and reward ship owners based on a credible assessment of their sustainability. The SSI believes that increased demand for rating schemes has the potential to create significant change in the industry and therefore seeks to contribute towards an increase in the uptake of rating schemes across the industry through greater awareness and understanding. The challenge for the SSI was to find ways of helping the shipping industry and its customers to navigate the growing number of beyond-compliance rating schemes, to encourage wider adoption of rating schemes and to improve sustainability performance in the shipping industry. The SSI recognises the need for leadership in this area, many of our members already use rating schemes and are keen for others to adopt them. To provide and improve the transparency and comparability that enables cargo owners, charterers and ship owners to integrate sustainability considerations into commercial decisions, and move towards a more sustainable shipping industry. Guidance on how to use the rating scheme to best effect. A series of case studies showing how rating schemes are being used by customers, ship owners and charterers to inform business decisions. An outline of what the ideal rating scheme of the future could look like and how this could positively impact the industry.